When I meet with friends to “catch up” or interact with colleagues the topic of using Kenya’s public transport system is off-putting to say the least. The conclusion of these discussions? “I can’t wait to buy my own car,” at least for those of us who don’t own a car yet. And for those who already own a car their views are, “I would rather be stuck in traffic in the comfort and safety of my own car than be in a matatu where the conductor might harass you, where you might be forced to alight before you reach your destination because the traffic is too bad, and the driver does not feel like going all the way!” And I am inclined to agree. Imagine maneuvering your way in a poorly lit street, looking over your shoulder every few minutes to see if someone is following you. Then when you try to connect your next matatu you must squeeze your way in because God forbid it’s a rainy day, and we all know in Nairobi when it rains we must get ready for a struggle. Why? Because for some reason matatus disappear with the first rain drop. 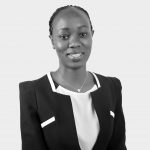 For women in public transport safety is a big issue; you might be groped, by say a conductor, or a fellow passenger, because oh well, “you are dressed indecently.” The stories of the challenges of using public transport are not only unique to Nairobians, it’s a global issue. And this came out clearly during the first Eastern Africa Women in Transport conference. The conference was organised by Flone initiative’s women in transport component with support from GIZ and other partners including University of Nairobi and ITDP, among others. “Public transport is humiliating and intimidating for most women. It’s even worse if you are a teenager…when you are older at least you can respond aggressively” said Dr. Rocio Diaz-Chavez, Stockholm Environment Institute, Kenya. 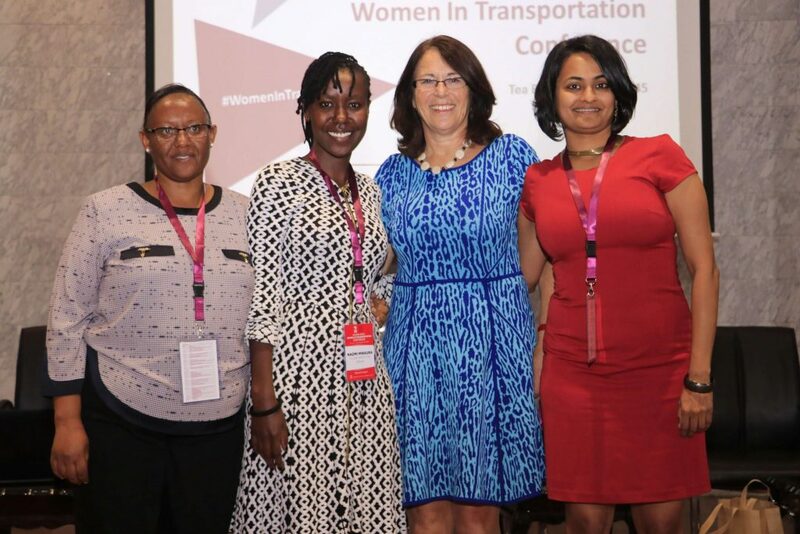 The conference sought to highlight the issue of women in transport and why it’s important to observe challenges experienced by women in transport. Women’s environment defines how they choose to commute. “Geopoll survey highlighted that at least 46% of women in Kenya have been harassed by matatu crews. This number does not include harassment from fellow passengers.” Mrs. Esther Koimett, Principal Secretary, State Department of Transport Kenya. Since use of public transport is unsafe and often inefficient, buying a car is usually seen as an achievement by most women. This brings the question of how we intent to reduce emissions from road transport if we continue and aspire to buy more cars? Kenya’s transport GHG emissions are projected to rise from 9.1 MtCO2e (2015) to 21.0 MtCO2e (2030) due to rise in passenger and freight vehicles under business as usual – Second National Communication. So, what can be done to improve Kenya’s transport sector so that women stop aspiring to buy cars for safety, comfort and convenience? Involve more women in transport and city planning. As highlighted by Ann Kamau, University of Nairobi, a study conducted in Nairobi and Kisumu by the Institute of Development Studies established that in as much as women are entering the transport sector they are in the low and lighter paying jobs such as conductors and drivers. To be able to influence policy, women should for instance belong to transport associations. In Kenya, matatu associations play a major role to influence transport policies as they are consulted as key transport sector stakeholders. Generate information to help policy makers. According to Heather Allen, Independent Gender & Transport Consultant, “there is not enough data to justify what is really needed to improve public transport for women. Do the policy makers currently making transport related decisions even use public transport in the first place? Most likely not.” Modesta Joseph, a teenager from Tanzania experienced one of her friends being harassed by a dala dala conductor while commuting to school. Then she thought about how many more girls could be experiencing the same during their daily commute. So, she created an online platform “our cries” where students can report anonymously any cases of sexual harassment when they use public transport. With information generated like this, it goes a long way to justify what is really needed to improve public transport for women. For the case of our cries platform, complaints are forwarded to SUMATRA, Tanzania’s Surface and Marine Transport Regulatory Authority for further action. While coming up with women friendly solutions, involve men as well. As put by Mungai wa Mungai a.k.a the matatu man, “violence does not take place in a vacuum, it is in a created environment. Until we make it our business, violence/harassment will never stop.” For more by Mungai wa Mungai, identity of politics in Matatu folklore paints a great picture. For more information, check out the new sourcebook on Approaches for Gender Responsive Urban Mobility published by the Sustainable Urban Transport Project.